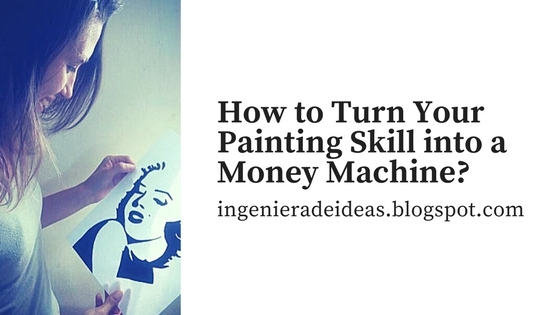 How to Turn Your Painting Skill into a Money Machine? Have you ever wonder why are there so many tutorials on the internet to learn how to paint an specific character or theme? 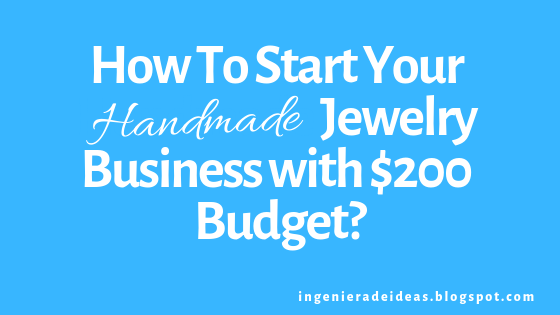 How can you turn the wheel in your favor an start earning money from all those painting and drawing tutorials? 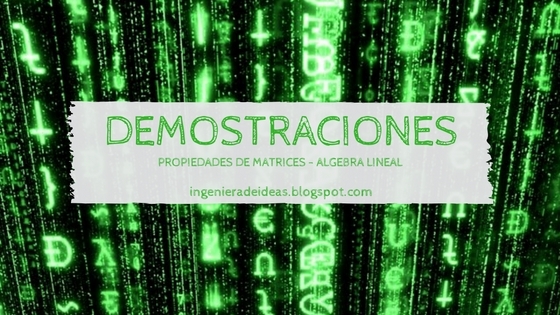 Well, today is your lucky day, because I'll teach you exactly all you need to get started. The key to success is not in what you are learning, but what you do with the knowledge you acquire. That been said, you just need to learn how to draw and paint one character and start working with that in many fields. Find the one you feel more confident with and lets start selling it. Don't quit if at the begging isn't as easy as we think it would be; the practice will make the different, and the experience will guide you to bring the best from you. I'm posting on my youtube channel how to pop art where my students will learn how to draw and paint three Marilyn Monroe Pictures. Once my students learn how to draw it and paint it as best they can, they can try doing over clothes, walls, coffee mugs, everything that you can paint!. What Do We Need to Paint Clothes and Sell It? 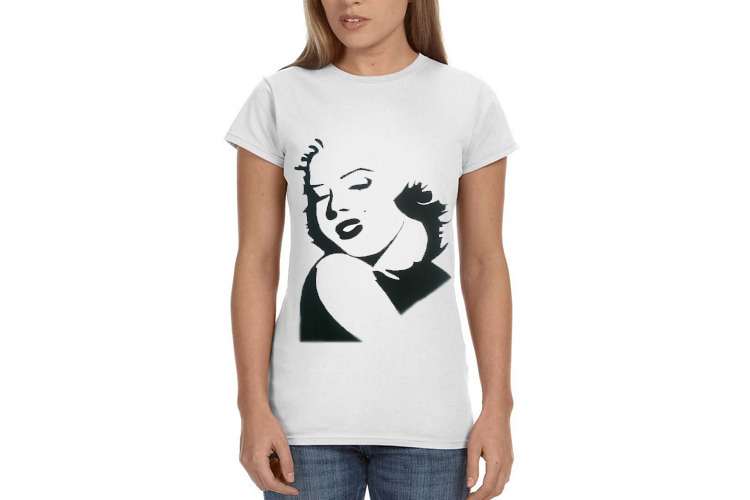 As we are talking about the Marilyn Monroe class, all we need is the t-shirt, fabric black paint and a pencil. You can buy: Fabric Paint 3D Permanent but not to use it as a pencil; instead you use the brush and paint as you use your watercolor paint. To save in the cost of the materials, you can buy the t -shirts as a pack and make sure it is 100% cotton; because the paint will last more in this type of fabric. 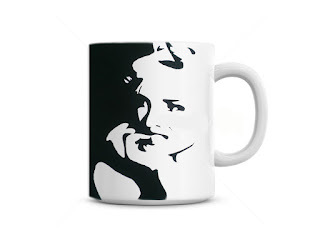 Use the pencil to draw the Marilyn Monroe on it. Paint with the black and when it gets completely dry, iron it from the back of the paint, in order to avoid to lose the paint once people wash it. Your own website or social media. The same you can do with the coffee mugs, you can buy it as a pack and be sure the paint you use is ceramic paint. You must be patience, practice before start selling it, because once you start, people will want huge amounts of products. You can focus too, on having your own Marilyn Monroe line and offer the three designs. It is up to you, how much you can deliver from yourself. How Can I Offer my Painting Skill as a Service? Have you ever though of painting a big Marilyn Monroe on a wall? 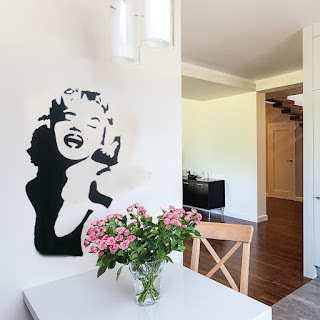 Sounds funny at first, but you can earn a huge amount of money for the service of a Marilyn Monroe wall design. All you need is black wall paint and a pencil. If you don't feel as good to draw direct to the wall, you can buy Bond Plotter Paper, draw the Marilyn at home, and once you are in the place where the service is needed you temporally paste the draw; use the pencil, draw it, take the draw off the wall, and paint it. 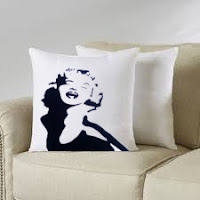 Or you can buy black contact paper and draw at home the Marilyn and paste it on the place is needed. In that case, you will be able to avoid the painting part. You can sell the service of Marilyn Monroe's theme parties, paint the cake with one of the pictures of her! Really, anything you can paint, you can turn it into a business. As you saw, you just need one draw and the rest is up to your creativity and imagination. There is no limit in what you can do with that knowledge. Or just think, who could you become if you learn how to draw two characters? Tell me about it! I'll be happy to know what you think in the comments section. 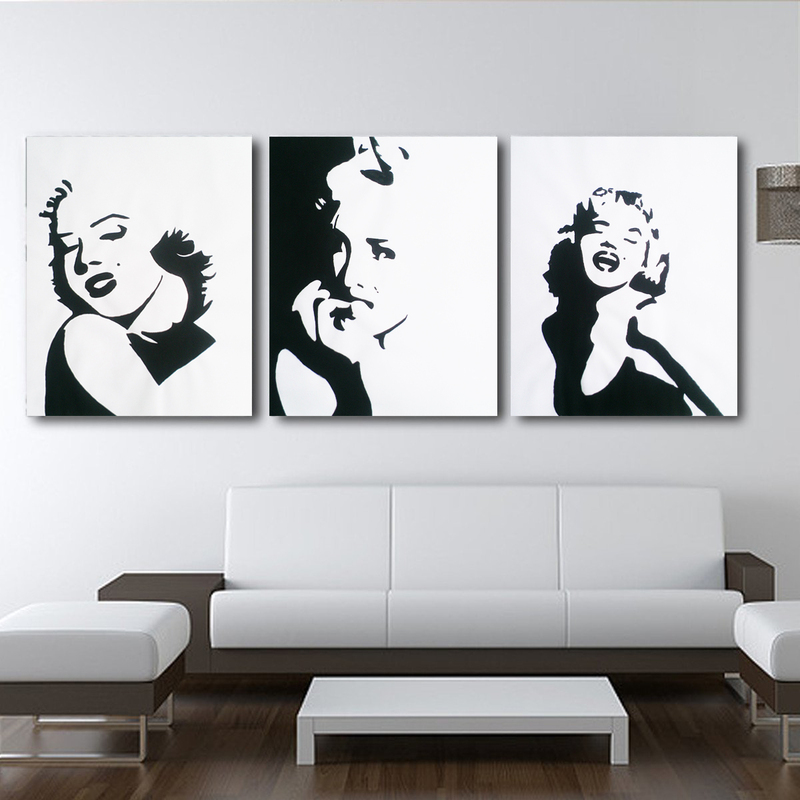 I love the three Marilyn Monroe paintings! I find most of my art on places like etsy. I love the personalized feel of art made by someone and not from a box store. I hope I am a supported of individual arts! My painting and artistic ability is not at this level. It would be nice to make extra money on a hobby though. I do like art and appreciate the effort that goes into it very much so. I always admire people who can paint and sing as I can't do neither. I will keep enjoying these arts through others. I'm so envious of people who can paint! These designs are wonderful. Wow, the paintings look awesome!!!! One of my schoolmate started doing this too. Great talent! wow! these are amazing! Now all I need to learn how to do it PAINT! haha! Incredible art! You are so creative and talented! I wish I had artistic skill like this. If I had that much talent, I'd be selling my artwork! I have a friend who recently took up painting lessons and she's doing pretty well! I am creative but when it comes to drawing or painting I definitely lack finesse. However I am so impressed that you are teaching your class about pop art as it is an era of art history that I am extremely interested in. Did you know that the pop art movement arose in 1950's Britain before it gained popularity in the US and became a cultural phenomenon? This is a really great way to use your talent! It's also nice that you combine with being an entrepreneur! Good job! Love your work! This is so neat! I definitely love turning passion into a money making machine. I would like to do that about what I am passionate about but I get stuck in my head and worry about what everyone’s else thinks instead of what I think. Thank you for sharing this! I never knew this! I am not very artistic but I have tried one of those Paint Nite events. My picture actually looked pretty good. Your work is definitely much better than mine! I am not very artistic, but some of my friends are. And I can refer them to this post, they can certainly learn a thing or two here. These are all such great ideas! I'm not much of a painter, but my daughter sure is!! Thank you for this wonderful post! I love drawing and painting and always curious how the artists market their work. Your post quite answer my curiosity. 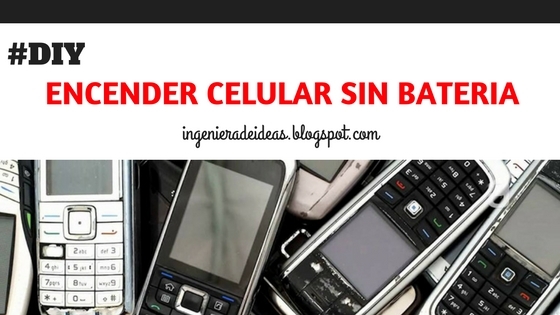 Vengo dándole vueltas a eso hace un tiempo estoy pensando sacarle mayor partido a mi habilidad para los dibujos, tengo una cuenta en Etsy, donde ofrecía accesorios, tu post me ha inspirado para darle forma a mi proyecto.